The frame of your home not only makes it stable, but it also introduces many design elements. The difference between an ordinary home and an extraordinary home is typically due to the framing design. Whether you are building a brand new home or just renovating an existing one, Milton Constructions in Massachusetts can help you choose a design that will make your home stand out. We eliminate all of the hassle by showing you both basic and elaborate designs you can choose from. If you are interested in a custom framing job, we can help you choose the best options for your home. Framing provides both strength and structure to a home. There are two main methods for frame construction, platform-frame construction and balloon-frame construction. The most common method used is platform-frame construction, because it is easier and provides a more sturdy structure. With this method, walls are placed on top of the subfloor, and the home is built from the ground up. Once one level is completed, it provides a platform for building the next level of the home. The home is framed using standardized measurements, eliminating room for error. Wall studs and ceiling and floor joists are strategically placed to provide needed support. The purpose of architectural design is to draw focus and highlight particular aspects of your home. We can add tray ceilings or exquisite cathedral ceilings to really make the center of your home stand out. Elaborate columns and arched expansive windows can also increase the appeal of your home. We can customize your home to achieve whatever picture you have in mind. We can frame additional structures to provide more function and comfort, such as a garage or wooden deck. 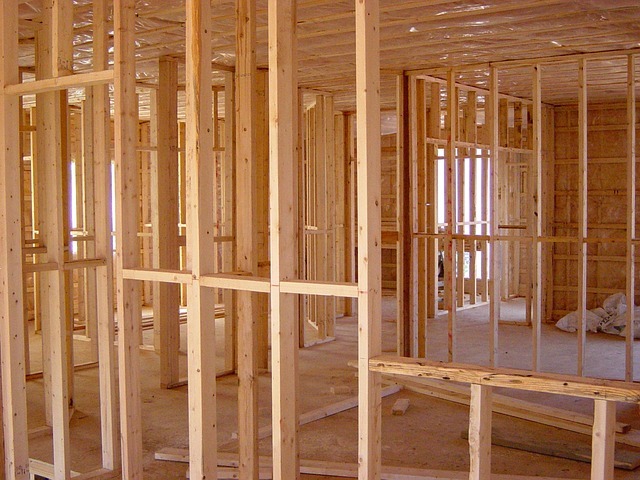 At Milton Constructions in Massachusetts, our framing jobs are built strong and built to last. We can eliminate your stress and help you design the home of your dreams.